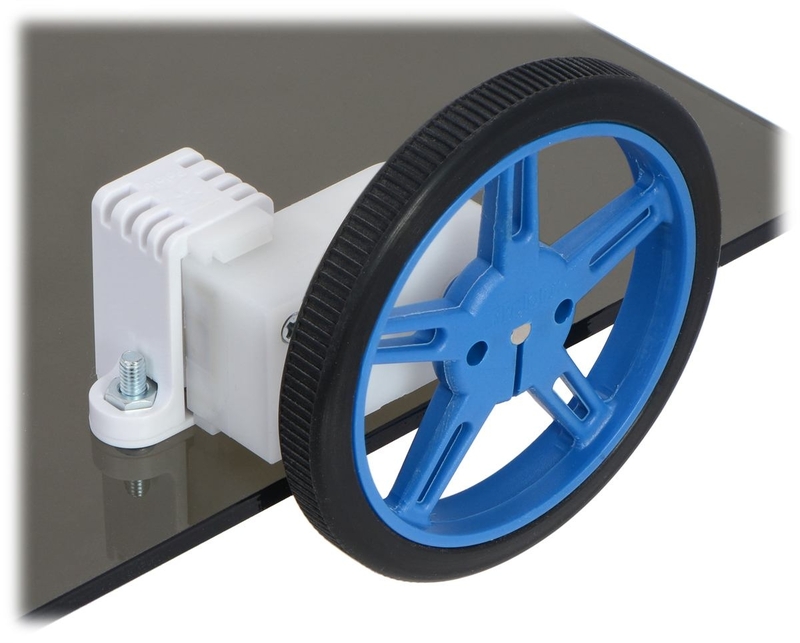 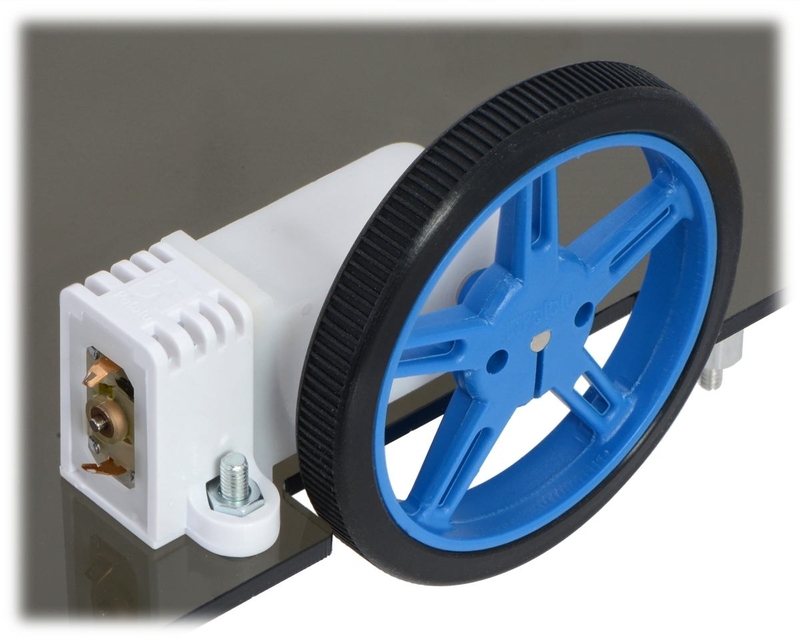 These tall brackets offer an easy and convenient mounting solution for our mini plastic gearmotors. 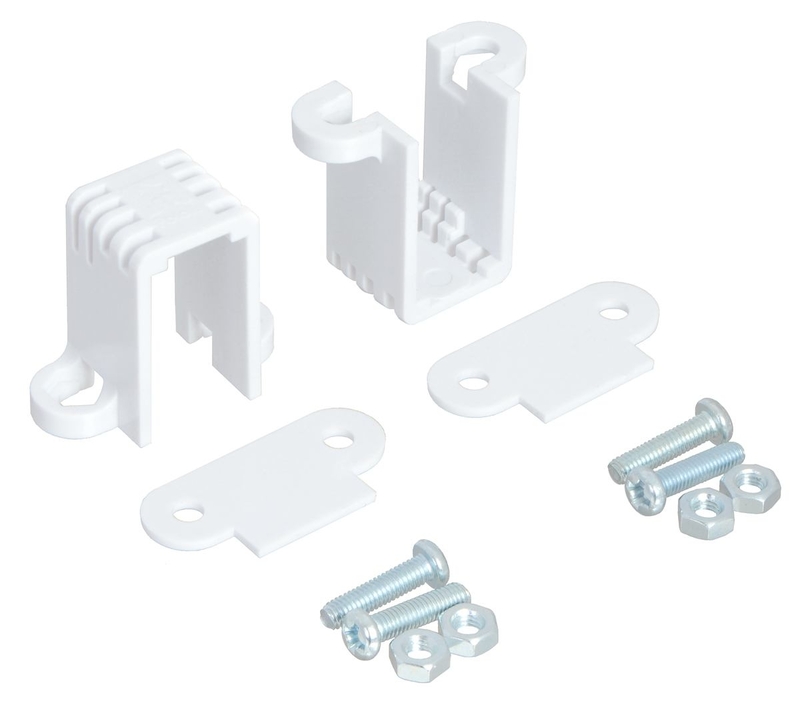 The white plastic bracket securely clasps around the gearmotor, and the mounting tabs capture the nuts for easy installation. 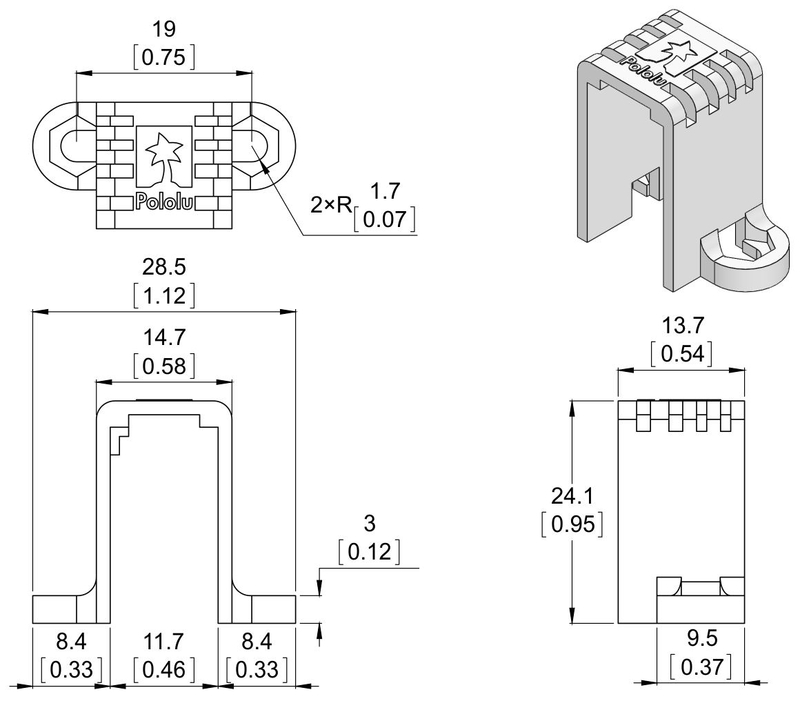 These brackets are sold in pairs, and each bracket comes with two M3 screws, two nuts, and a spacer.